The Remo Powerstroke 4 Clear Tom/Snare Batter Head 14" is a clear tom or snare batter head, featuring a diameter of 14", made from double-ply 10-mil Mylar film, with longer and more focused mids. The Powerstroke 4 Clear drumheads feature focused low-end tones with controlled sustain, a well-defined attack and increased durability. 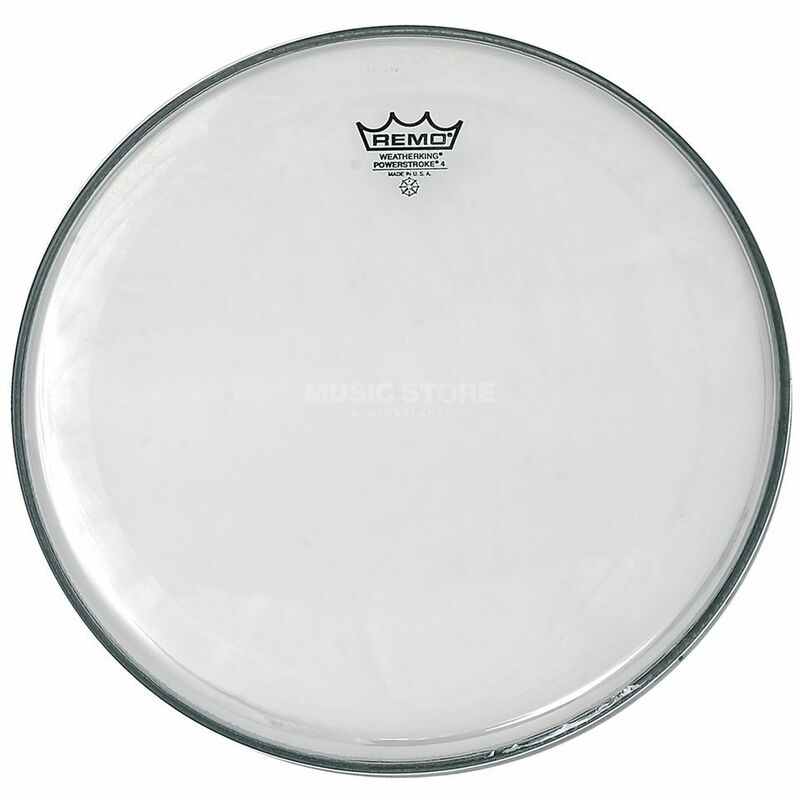 Constructed with a double-ply of 10-mil Clear film with a 3-mil inlay ring, these drumheads are ideal for hard-hitting applications or where minimal sustain is desired.